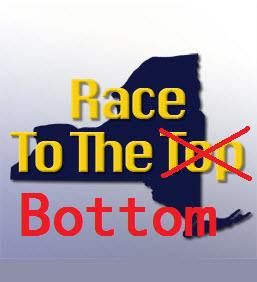 * If the State budget includes the $7 million that the Regents have requested for the assessment program, the Board approved a cost reduction of $4.25 million to be achieved through reduced reliance on educational specialists in developing tests ($1.25 million), discontinuance of paper-based scoring materials for examinations ($.60 million), elimination of component retesting for high school Math and English exams ($1.6 million), and elimination of 5th and 8th grade Social Studies examinations ($.80 million). * If the State budget does not include the $7 million that the Regents have requested, or a final State Budget is not in place by August 1, 2010, the Board approved additional reductions of $6.1 million to further offset the deficit. These reductions would be achieved by eliminating Grade 8 second language proficiency exams ($2.0 million), eliminating August administration of Algebra II/Trigonometry and Chemistry high school Regents exams ($.8 million), eliminating all high school Foreign Language exams except for Spanish and French($1.2 million), an immediate end to translation of state assessments into Chinese, Haitian-Creole, Korean, and Russian while continuing translation into Spanish ($.75 million), and eliminating January high school Regents exams ($1.4 million). Should additional funds be included in the P-12 budget the reductions listed last in the priority order above would be the first to be restored. The State Education Department’s expense to operate the assessment program continues to rise in light of the State’s fiscal crisis as a result of several factors including: inflation, the addition of examinations, increased cost of testing vendor contracts, and the need for more test security. Based on the Executive Budget, SED projects a deficit of approximately $11.5 million in available funding in 2010-11 for P-12 programs, including the assessment program. The Regents have requested $7 million in additional State funds for the assessment program from the Legislature. The State Education Department has limited ability to address the P-12 deficit by redirecting federal or state funds dedicated to specific purposes by title or statute. SED will explore further internal cost reduction strategies to eliminate the remaining deficit of $1.1 million in the P-12 budget. Full details of the cost reduction strategies the Board of Regents approved are on the web. A webcast of the full board meeting of the Board of Regents is also available online. The state Board of Regents started working on an &#8220emergency amendment&#8221 to the rules governing how museums can manage collections because it appeared that Fort Ticonderoga, a historic site and museum in northern New York, was on the verge of bankruptcy, said James Dawson, chairman of the board’s Cultural Education Committee&#8230- State rules currently require museums to use the money from such sales only to buy other works or enhance their collections. The emergency amendment would allow museums to sell off works to pay down debt if they can show that they have no other way to raise the money and would otherwise go bankrupt. The museums also would only be allowed to sell the works to another museum or historical society in New York. The Board was to have taken up the amendment at a meeting Monday but Dawson — who represents northern New York on the Board of Regents — said he withdrew the proposal Thursday, partly because Fort Ticonderoga was able to raise enough money to stay out of bankruptcy court. 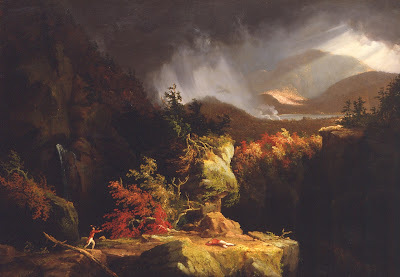 The plan has come to light just two weeks after the National Academy in Manhattan (not subject to the Board of Regents) sold off two Hudson River School paintings. 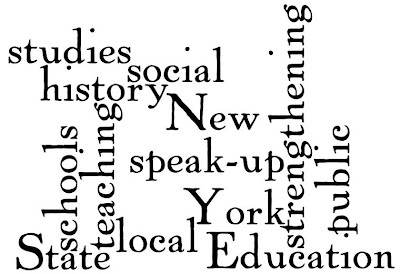 Other cultural institutions in the state are also facing financial hardships that have been reported here at the New York History blog, including local libraries and Amsterdam’s Elwood Museum. Last month Fort Ticonderoga laid-off four employees and closed an office building (BTW, the Smithsonian is also facing financial hardship and recently cut salaries). It was announced in July that Fort Ticonderoga faced financial ruin after Deborah Mars, a Ticonderoga native married to the billionaire co-owner of the Mars candy company Forrest Mars Jr., bailed on their long-time support for the fort just before completion of the new $23 million Deborah Clarke Mars Education Center. The Mars paid for nearly all of the new building’s construction but left before it was finished leaving Fort Ti about two million dollars in debt. When the building bearing their name opened, they didn’t show. The Board of Regents rules governing the sale of museum holdings were established in the early 1990s when the New York Historical Society faced financial problems. Assemblyman Richard Brodsky, a Queens Democrat who chaired an investigative committee at the time, said he was happy to hear the Board of Regents had withdrawn the emergency amendment proposal but remained concerned that they might still try to tweak other parts of the rules that define what qualifies as part of a museum’s collection. Brodsky said he urged the Regents to hold off on making any changes until after a more thorough review involving museums, the Legislature and others with an interest.